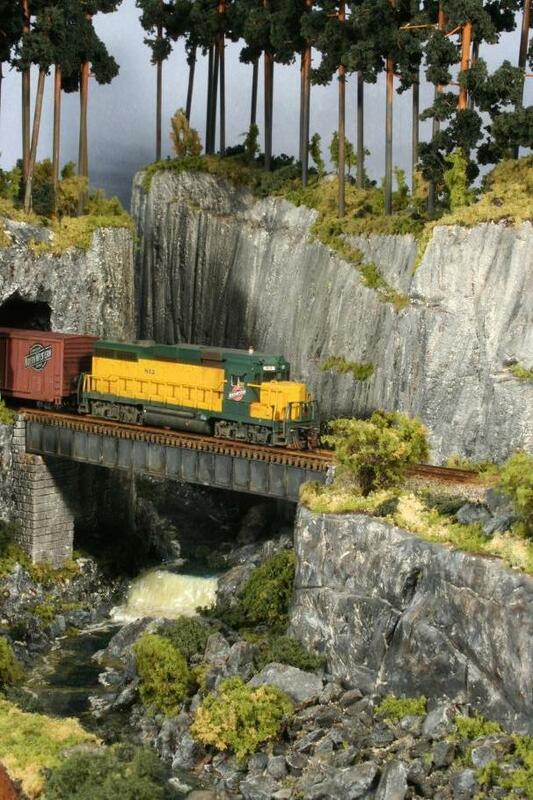 This diorama shows a fictitious gorge. In this set of pictures it is obviously located somewhere in North America, since a Chicago & Northwestern train is just crossing the bridge. The cliffs are made from foam insulation board, roughly sawed with an ordinary carpenter’s saw and then painted with oil paints. No Next button visible above? Click on the photo itself to go to the next one.